With some bars you step through the door and you just know: yes, this is the place. 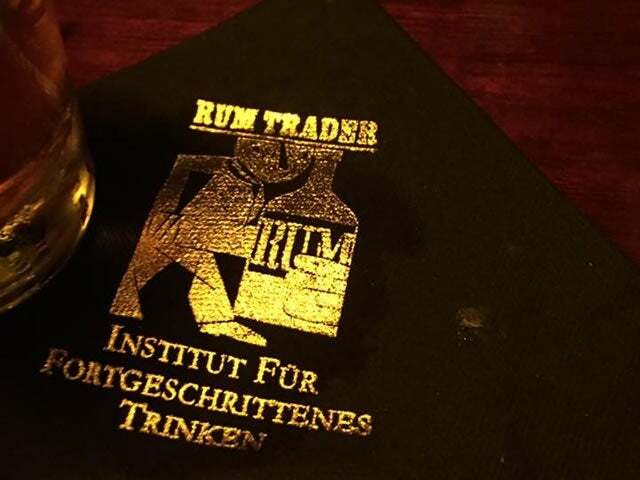 Rum Trader is just such a bar, a miniscule but marvellous gem in central Berlin. With some bars you step through the door and you just know: yes, this is the place. 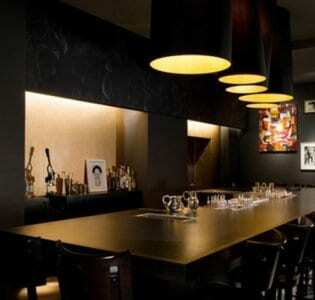 Rum Trader is just such a bar, a miniscule but marvellous gem in central Berlin. This dinky bar barely has room for 25 (it has only one table and a smattering of bar stools), but it’s worth arriving early and snagging one of the (very limited) seats because this place really is something special – a must visit for all those who value a decent drink. The bar specializes in impeccably crafted rum-based drinks (of course) but also has a decent selection of gin-based options, all served in vintage glasses. 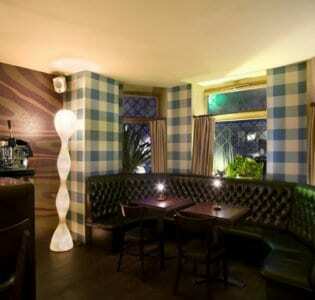 In a venue that effortlessly conjures up pre-War Berlin, it’s hardly surprising that the décor is delightfully old-school the walls are lined with glass-fronted, backlit cupboards displaying the various beverages on offer, giving it at times the feeling of drinking in someone’s well-stocked pantry. Everything is overseen by Mr Scholl, the dapper waist-coated and bow tie-sporting proprietor with a penchant for Joyce who seems to be on conversational terms with most of the smartly attired regulars. He’ll ask what your drinks preference is and make you up something bespoke, so go with an open mind and you’ll enjoy the experience more (those who want an anonymous night out and plenty of personal space are advised to steer clear!) A venue this compact is obviously in demand, and it’s really not surprising, as they simply don’t make them like this anymore. Like most places in Berlin, it’s open till the early hours in the morning, and if you’re lucky enough to snag a spot we’re betting you won’t want to leave.